After lots of hype and rumour, Nike teased images of their latest release the ‘React Element 87’ style at Paris fashion week earlier in the year as part of their fall/winter ’18 collection. Images first surfaced of colourways releasing under the UNDERCOVER moniker, the React Element is the latest in a long line of collaborations between the brand and Jun Takahashi. After the UNDERCOVER tease, images surfaced of in-line renditions due for release in Q3. 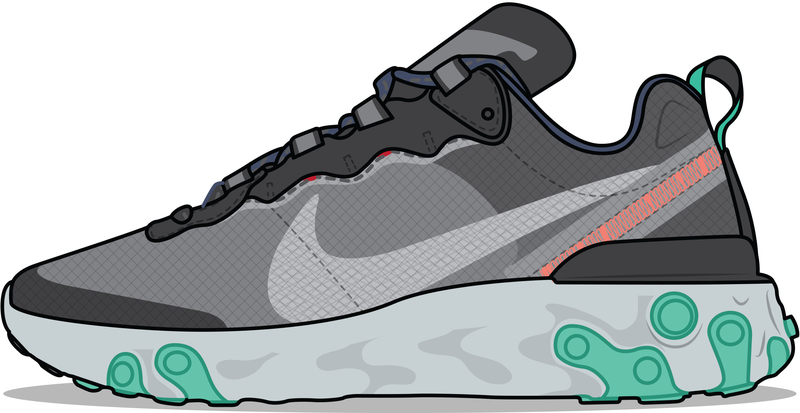 A trail like shoe, with a translucent see-through upper, the React Element 87 saw its first general release back in June releasing in a host of eclectic colours, with the style gaining the reputation of the ‘release of the year’ after its initial sell-out. 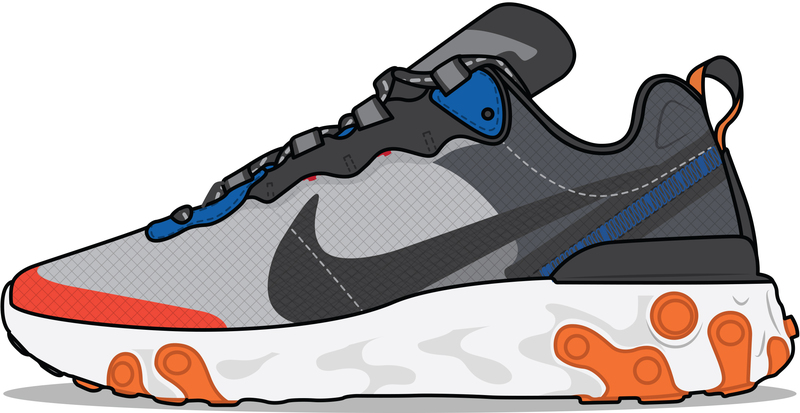 Some background on the React Element 87; designed by Nate Jobe and the Nike special projects team, who’ve created a technical, futuristic runner. Advanced in its construction, the React Element 87 features responsive REACT foam cushioning and an inside-out “deconstructed” aesthetic. 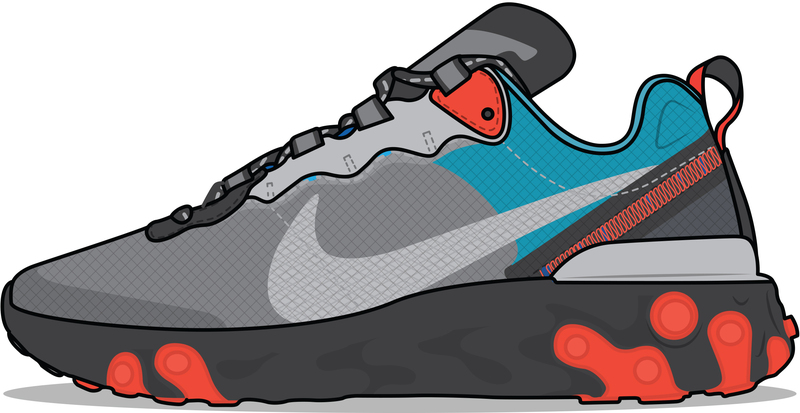 The inspiration for the style came from drilling holes in foam of the sole unit, in the aim of attaining greater levels of comfort while standing, walking, shifting and sprinting. These trials allowed designers to determine which hole depth and densities accomplished their comfort goals. The designers then applied the abstract outsole to a retro Internationalist-inspired upper, which was constructed from 100% TPE textile yarn, that would complete the React Elements’ translucent look, in-turn creating a truly modern silhouette. The last round of releases were vibrant in their make-up and colour palette. The latest three iterations are slightly more subdued, rendered in a moody, autumnal palette that consists of grey/orange, black/red and grey/navy. All three colours of the ‘React Element 87’ will be available via the size? previews app and in all size? stores, on Thursday 11th October, priced at £135.